WHAT WILL YOU FIND ON IDANCE2? Last week's 'Hot Story of the Week' gave readers a glimpse into iDANCE2 and the member interaction that happens there. ID2 is a safe place to post ideas, ask questions and get great feedback from other dancers. Members can post a question or share booking news and give advice. And you might even find words of encouragement! It's all there and part of your Answers4Dancers membership. The support is amazing and there for you! 54 NEW AUDITIONS ADDED TO ANSWERS4DANCERS.COM! It's finally warming up and so are the audition opportunities! NYC lead the way with 20 auditions, followed by States with 11, LA has 5 and Internationals have 3. There are also 10 posts for Dance Companies, 7 Managerial, 6 Teaching posts, 5 for Choreography and 1 Internship. Members have access to all of these auditions, while non-members have 2 postings available to view on A4D's free Homepage at www.answers4dancers.com. In the East, Hamilton seeking m/f ensemble dancers/offstage swings, all ethnicities, must tap and sing very well, versatile in contemporary, men hip hop shoes, women hip hop shoes/boots/character shoes, all bring knee pads, Contract: Production (League); $1861/wk min. Untitled Prom Musical seeking m/f ensemble dancers who sing very well, all ethnicities, men character shoes and sneakers, women character shoes, heels and sneakers, Contract: Developmental Lab; $1000/wk min. My Paris seeking m/f Equity dancers who sing for ensemble and various roles, all ethnicities, women character shoes, men jazz shoes, prepare 16 bars of traditional musical theatre song, Contract: LORT Non-Rep; $618/wk AEA min (housing provided). In the West, Rock of Ages seeking immediate replacement dancers who sing for Vegas production, various roles, all ethnicities, pole dancing skills a plus, women bring heels and knee pads, prepare 16 bars of a pop/rock song, Contract: Special Agreement; $805/wk min. Steve Wynn's ShowStoppers, a Best of Broadway musical revue seeking m/f versatile chorus/ensemble, technically trained dancers, all ethnicities, men and women wear body conscious clothing, ladies heels, professional pay. For information and details on these and more, visit the Member Audition Pages at www.answers4dancers.com. New York City, NY; Houston, TX; Kissimmee, FL; Glen Rock, NJ; Los Angeles, CA; Atlanta, GA; Breezy Point, NY; Torrance, CA; Half Moon Bay, CA; Centerbrook, CT; Chicago, IL; and Long Island City, NY. Be sure to check the auditions postings often. New opportunities are added all week long! Seeking high quality triple-threat performers with contemporary vocal styles and Lyrical, Jazz or Hip Hop dance experience. We offer competitive rates, preferred living accommodations, and other benefits. SINGERS WHO DANCE - Experienced stylistic vocalists with strong performance qualities and dance background should apply. DANCERS WHO SING - Experienced dancers with strong ability in lyrical, jazz and hip-hop that sing should apply. MARK YOUR CALENDAR NOW: NEW YORK, April 14-15, 2015. Click here for details. NEED TO MAKE CHANGES TO YOUR MEMBERSHIP? HERE'S HOW! To change or update your credit card info, please access your PayPal account directly. Changes to your A4D personal subscription and profile can be made by accessing 'Member Info' on the toolbar at Answers4Dancers.com. 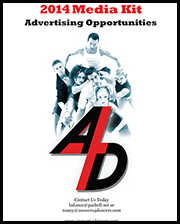 INTERESTED IN ADVERTISING ON A4D? BOOKING NEW ADS NOW! On A4D, your opinion matters. We're so dedicated to providing you with the info you want and need that we go directly to the source to find it! View A4D survey results on our "Memberspeak" page. 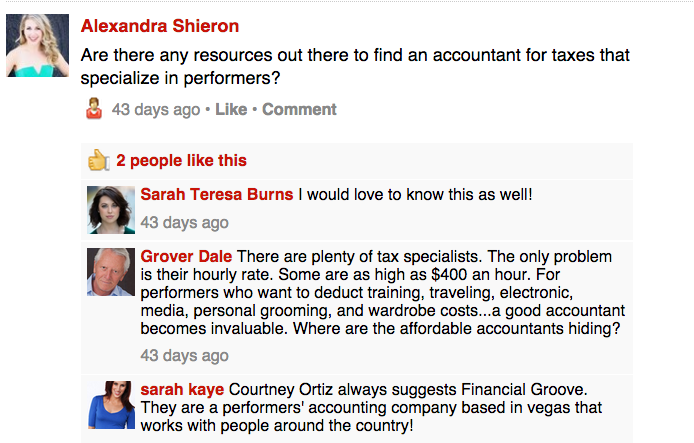 Check out what other dancers and agents think about us by visiting our "What They Say About Us" page. Looking to get the word out about an upcoming audition or performance? Our "Advertise On A4D" page has everything you need to get started, including our updated Media Kit. To view all of these pages, simply use the images below. The twelve celebrities who make up the cast of Dancing With the Stars all got to dance one last time before the first elimination of the season. In the spirit of this week's theme "#MyJamMonday," the couples performed to their favorite song. 70 year-old legend Patti LaBelle danced to In Da Club by 50 Cent! She injured her knee during rehearsal but she's every bit a pro and danced - knee brace and all! In the end, Redfoo, one-half of the electronic dance music group LMFAO, was the first celebrity eliminated. Redfoo, whose real name is Stefan Gordy, didn’t have the heart to break the news to his dad, legendary Motown founder Barry Gordy, right away. “He saw my performance but he didn’t know I had gotten voted off,” Redfoo recalled. “He was like, ‘Way to go. That was excellent.’ And I didn’t have the heart to tell him right there that I’m off the show.’” Next up? Latin Night is the theme for the next week’s show. After 55 years, off-Broadway's longest-running musical, The Fantasticks, will shutter on May 3. At the time of its closing the production will have played a total of 20,672 performances in NYC: 17,162 at the Sullivan Street Playhouse and 3,510 performances at the Snapple Theater Center. Directed by Tom Jones, The Fantasticks has a book and lyrics by Jones and music by Harvey Schmidt and features memorable songs Try to Remember, Much More, They Were You and Soon It’s Gonna Rain. 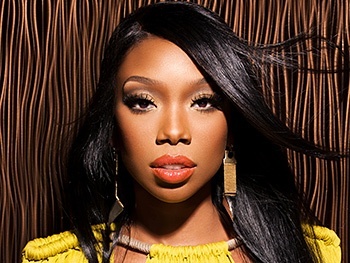 Grammy Award winner Brandy Norwood will step into the Broadway revival of Chicago as Roxie Hart. The pop/R&B star will begin performances at the Ambassador Theatre on April 28, playing an eight-week engagement through June 21. She will take over for Paige Davis, who will assume the role on March 30. Norwood has sold more than 40 million albums worldwide, and her hit record The Boy Is Mine is the longest running number-one song and best-selling duet of all time. Screen credits include Moesha, Cinderella and The Game. The world premiere musical comedy about the musical comedy that started it all, began previews on March 23 at Broadway's St. James Theatre! 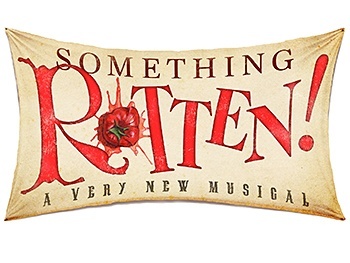 Directed by Casey Nicholaw, Something Rotten stars Christian Borle, Brian d’Arcy James, John Cariani and more, and will officially open on April 22. Something Rotten features a score by Wayne Kirkpatrick and Karey Kirkpatrick and a book by Karey Kirkpatrick and John O’Farrel. 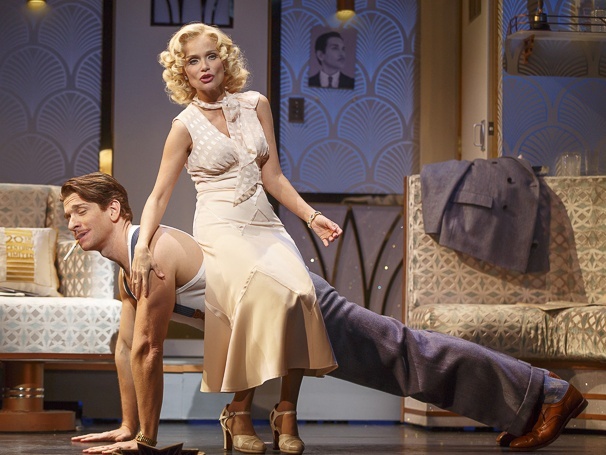 Tony and Emmy winner Kristin Chenoweth, Tony nominee Peter Gallagher and the company of On the Twentieth Century recorded the cast album on March 23 with a release date of May 19 on PS Classics. Directed by Scott Ellis, the Roundabout revival is playing a limited engagement through July 5 at Broadway's American Airlines Theatre. On the Twentieth Century features a book and lyrics by Betty Comden and Adolph Green and music by Cy Coleman. In addition to Chenoweth and Gallagher, the cast includes Tony nominee Andy Karl, Mark Linn-Baker and Tony winners Michael McGrath and Mary Louise Wilson. 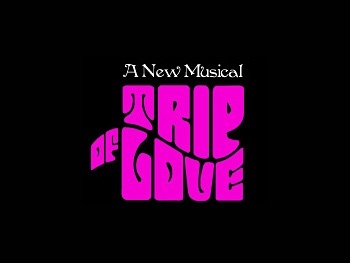 Trip of Love, a new dance musical spectacle inspired by and set to the biggest hit songs of the 1960s, will open this fall at the Little Shubert Theatre off-Broadway. Created, directed and choreographed by James Walski, the show will begin previews in September and officially opens in October. Trip of Love brings the decade to life with over 25 of the biggest hits of the ‘60s, including Blowin’ In The Wind, Born To Be Wild, California Dreamin’, I Saw Her Standing There, White Rabbit, You Don’t Own Me and many more. The production will feature scenic design consultation by Robin Wagner and costume design by Gregg Barnes. 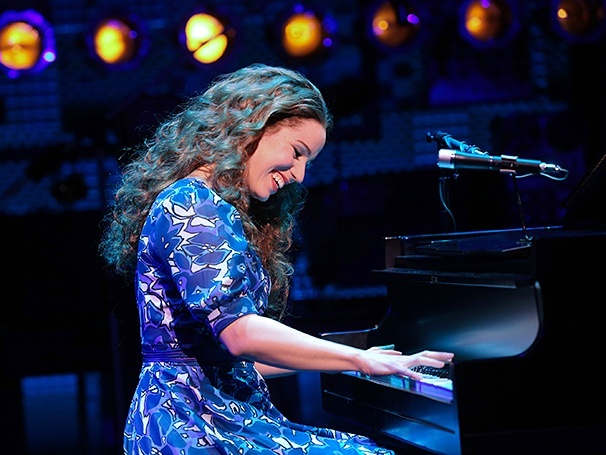 Broadway hit Beautiful: The Carole King Musical is heading to a movie theater near you. It will be produced by Tom Hanks' production company and released by Sony Pictures. Douglas McGrath, who wrote the book for the show, will pen the screenplay. Casting has not been announced. The movie adaptation will also be produced by Paul Blake, the Broadway incarnation’s lead producer, along with Mamma Mia! film producer Gary Goetzman. Tony nominee Ramin Karimloo will depart Broadway's Les Miserables on August 30. No replacement has been named yet. Directed by James Powell and Laurence Connor, the reimagined production is running at the Imperial Theatre, where it officially opened on March 23, 2014. 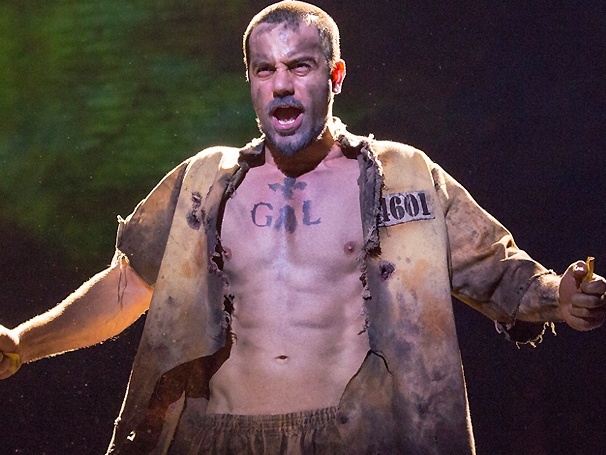 Karimloo received a Tony nod for his performance in the tuner. He originated the role of the Phantom in the West End run of Love Never Dies and starred in The Phantom of the Opera in the West End.